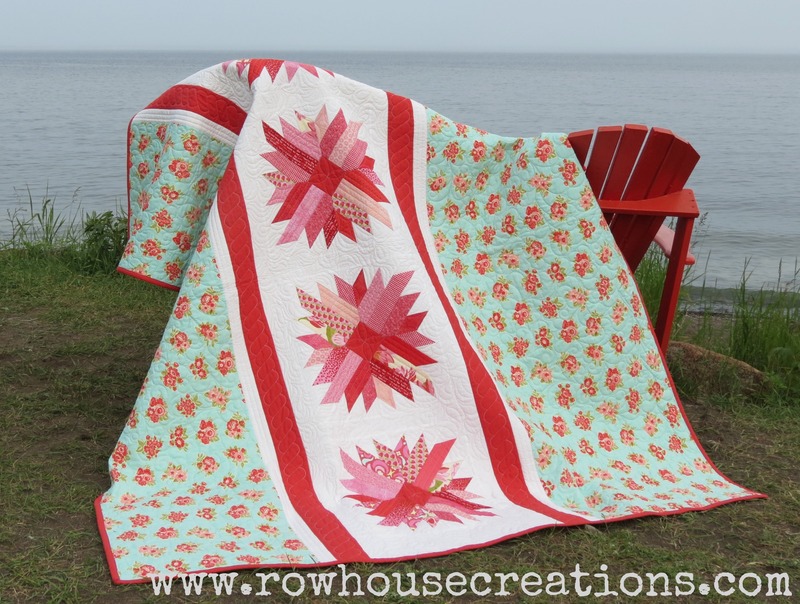 The wait is over, Diamond Dust is now available in PRINTED or PDF versions in our Etsy Shop, on Craftsy, Patternspot, and from your LQS (Shop owners: you can order wholesale directly from us or through United Notions and Checker Distributors). 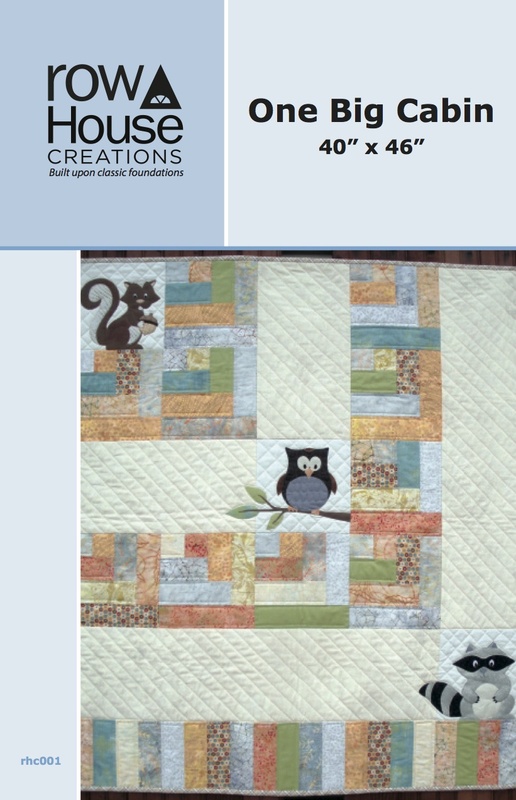 This is a multi-sized quilt pattern to make a table runner, throw quilt, or Queen size quilt. 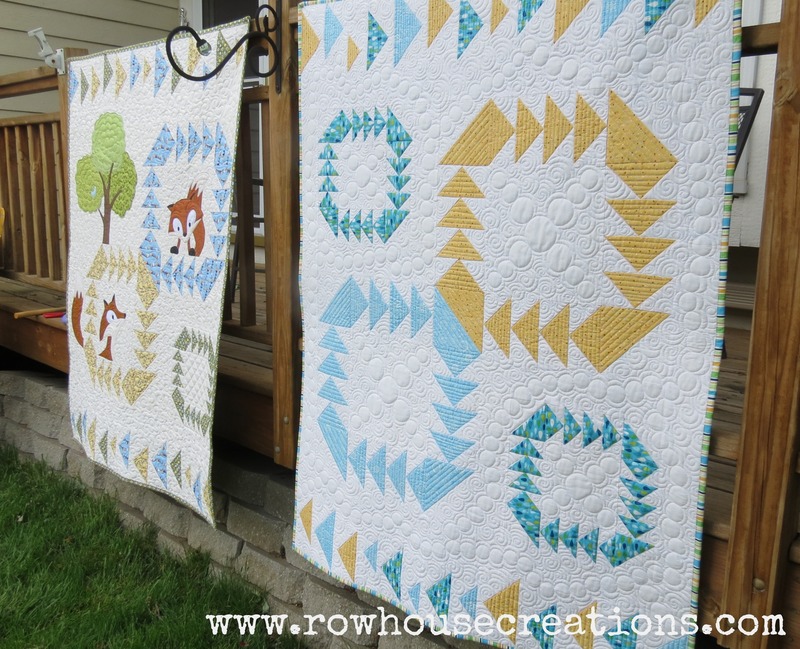 All half-square triangles and rectangles! 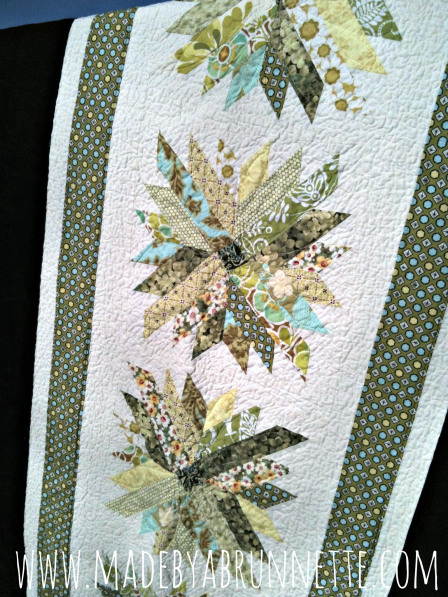 This quilt won the MQG 2014 Riley Blake Fabric Challenge and also won Best Modern Quilt at AQS Des Moines Show. 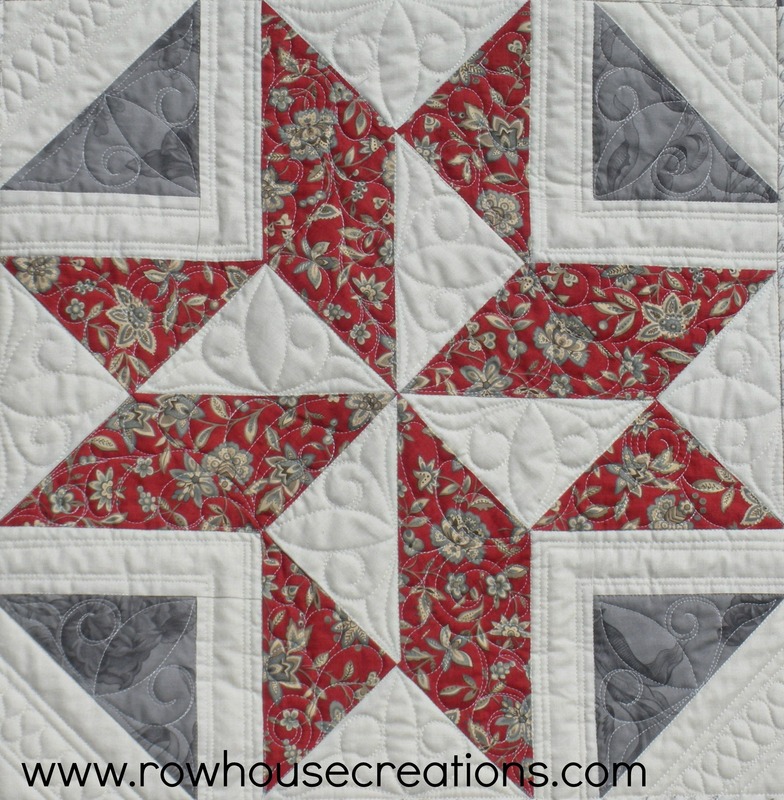 Half-square triangles with two background fabrics, lots of negative space for fun, innovative quilting! 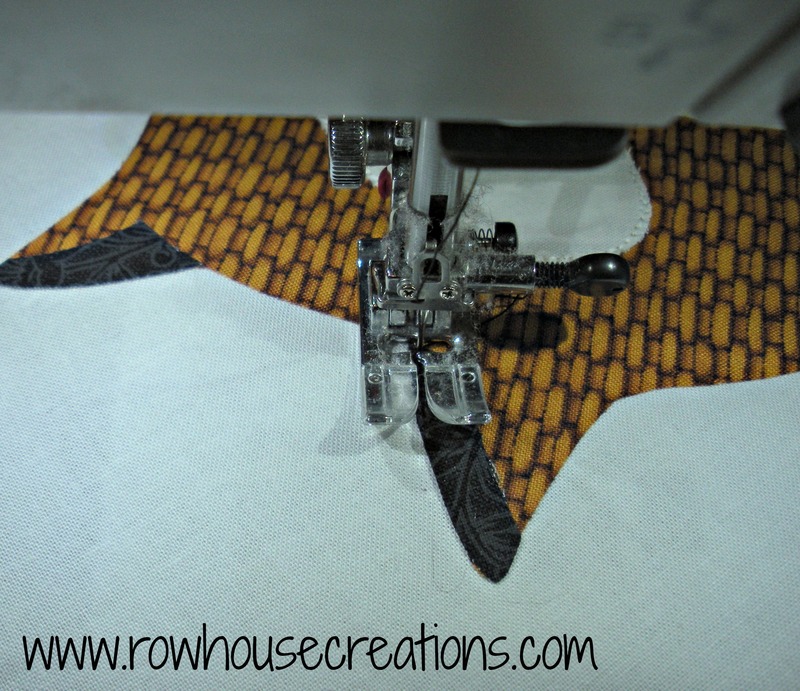 NEW PATTERN Pinafore is Here!!! 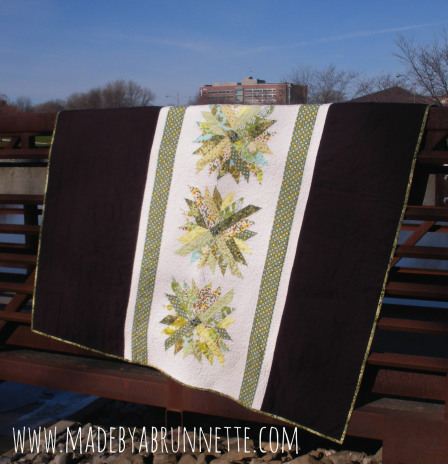 Another pattern that has been a long time in the making; but the wait is over, we have it ready! 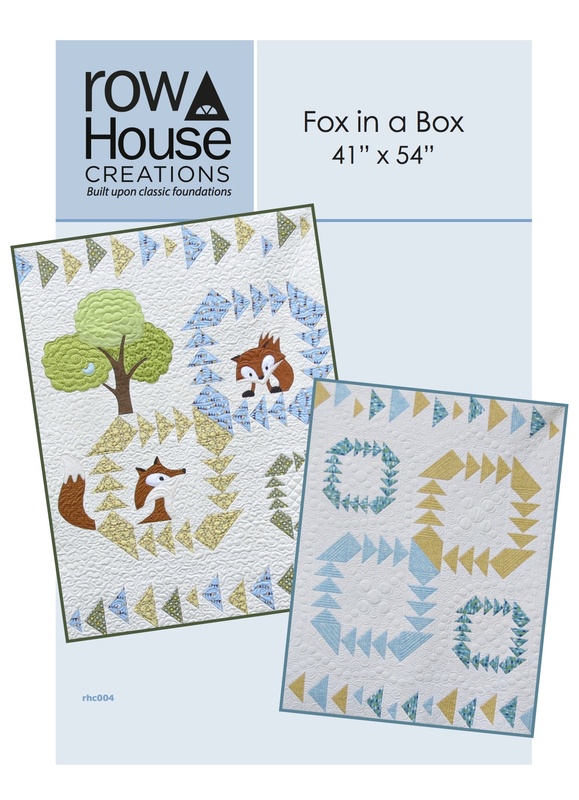 Available in PRINTED or PDF versions in our Etsy Shop, on Craftsy, Patternspot, and from your LQS (Shop owners: you can order wholesale directly from us or through United Notions, Checker Distributors, Petersen-Arne, and Quilt Craft Distributors in Canada). 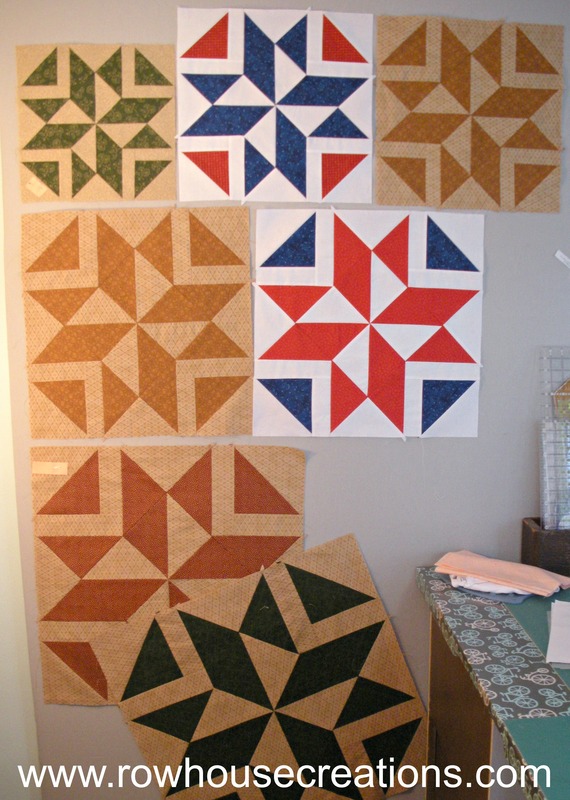 The block is 18.5″ — and the pattern is written for Twin (12 blocks), Queen (16 blocks) and King (25 blocks) sizes. 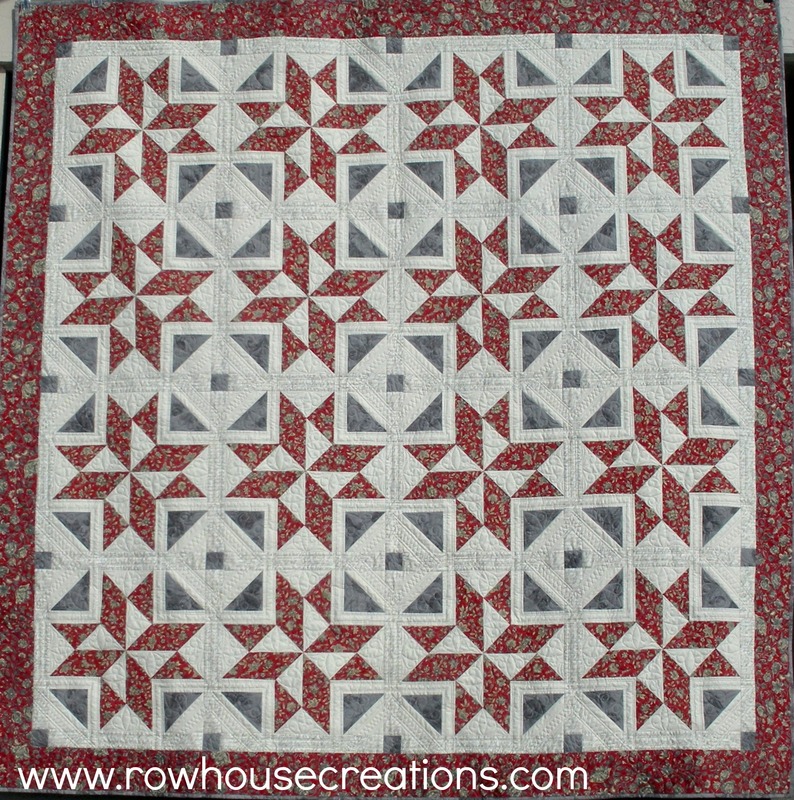 We tested A LOT of block sizes before settling on the 18.5″ size… The secondary pattern created by the corner triangles and the sashing cornerstones can change the look of the quilt completely based on fabric placement… Here is the Queen size layout, just 16 blocks: Even a novice quilter could make this quilt; it is just pinwheels, half-square triangles and simple sashing and borders. 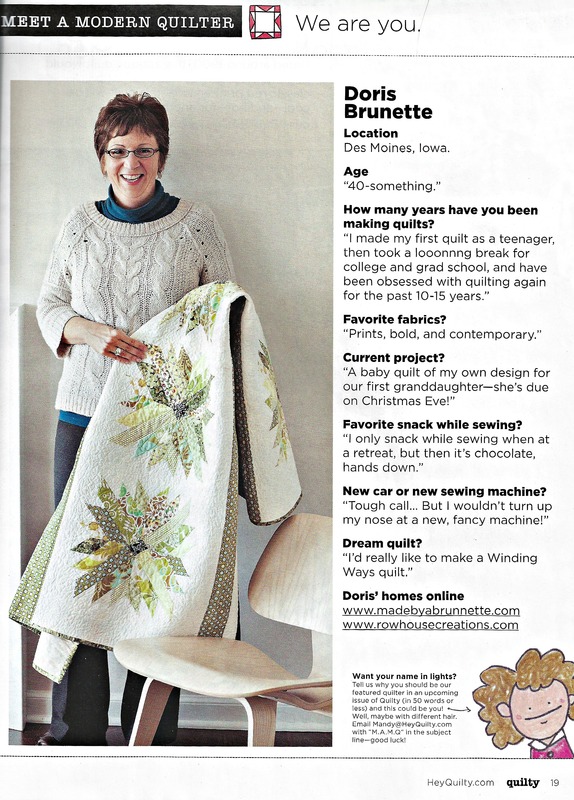 We hope you love it as much as we do! 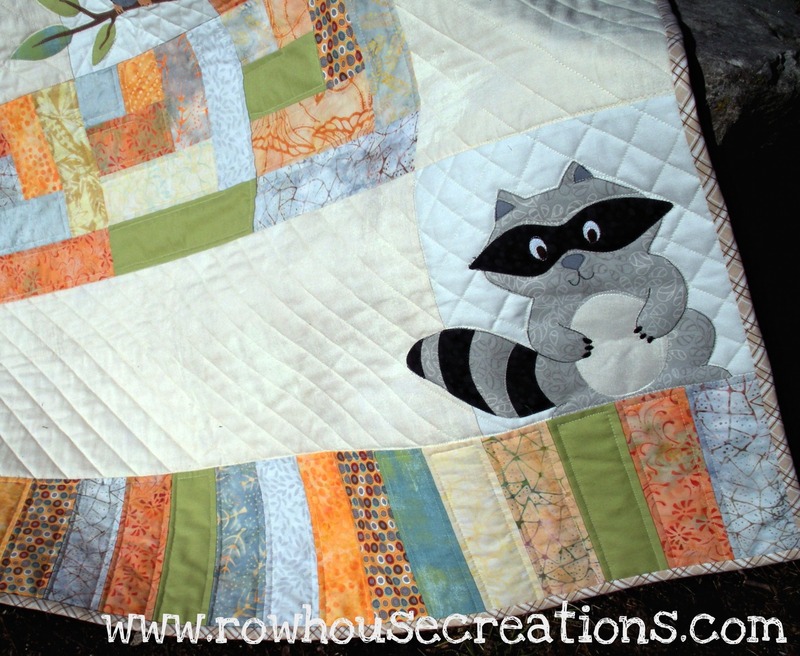 WE CANNOT WAIT TO SEE YOUR PINAFORE QUILT! Waiting for the right combination of the sun going behind a cloud just as the breeze stopped for a few moments made getting two good flat shots quite a challenge! 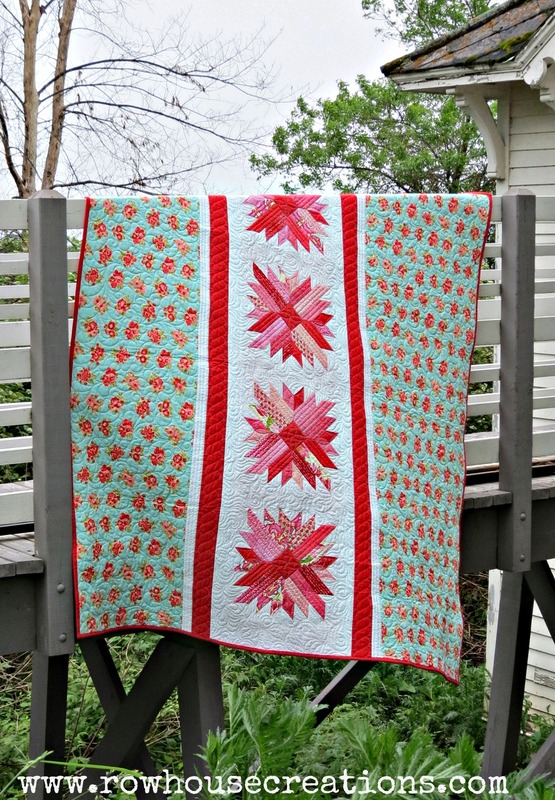 Some lucky shoppers and retreaters in Ames, Iowa this weekend got the pleasure of seeing this quilt “in the flesh”… and if you follow us, you’ve seen this quilt before in another colorway (hint, hint). Any guesses? 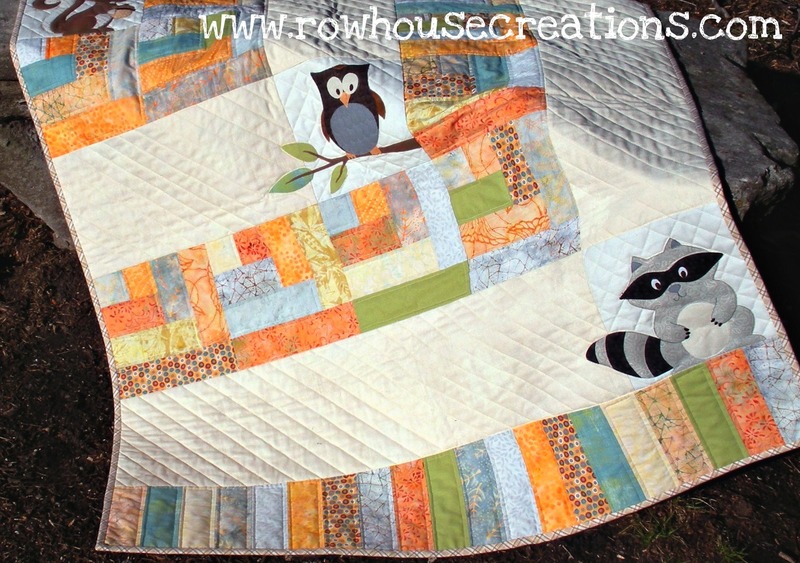 Yes, another critter applique quilt and it’s super cute and has been well-received with several wholesale pre-orders! ONE BIG CABIN is here! 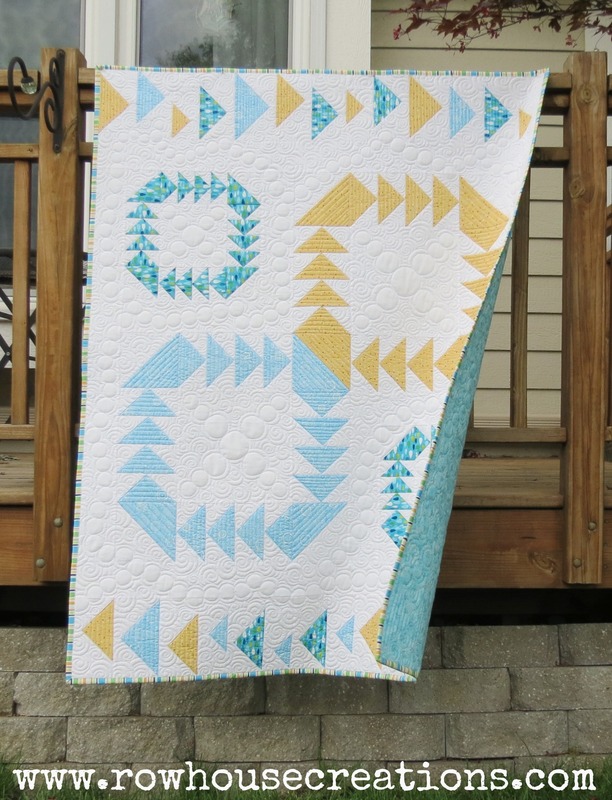 We are excited to announce the release of our first quilt pattern! 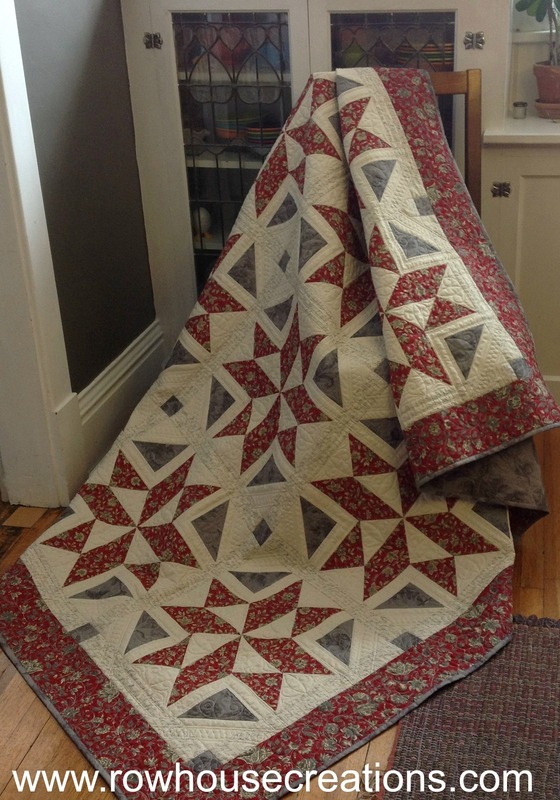 Trina has 12 years of long arm quilting experience; Quilting guidelines for all of our cover quilts will be provided as an added bonus! 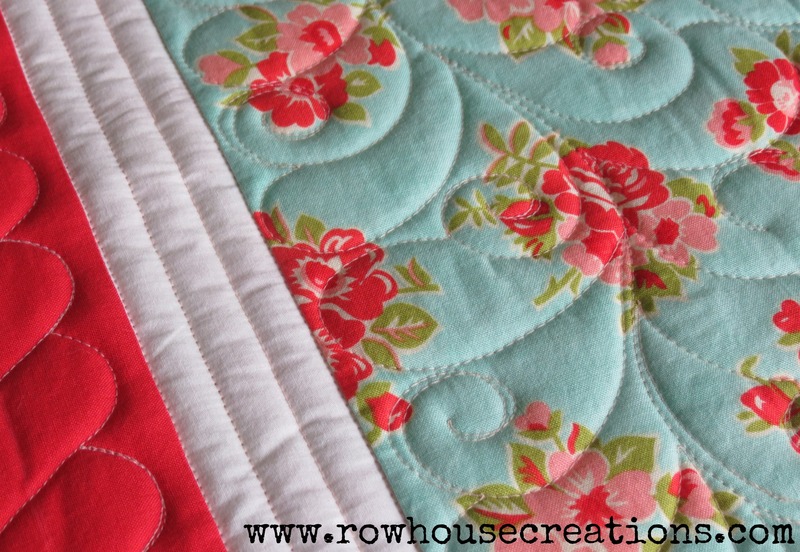 No more mind block when it comes to deciding how you should quilt your quilt! 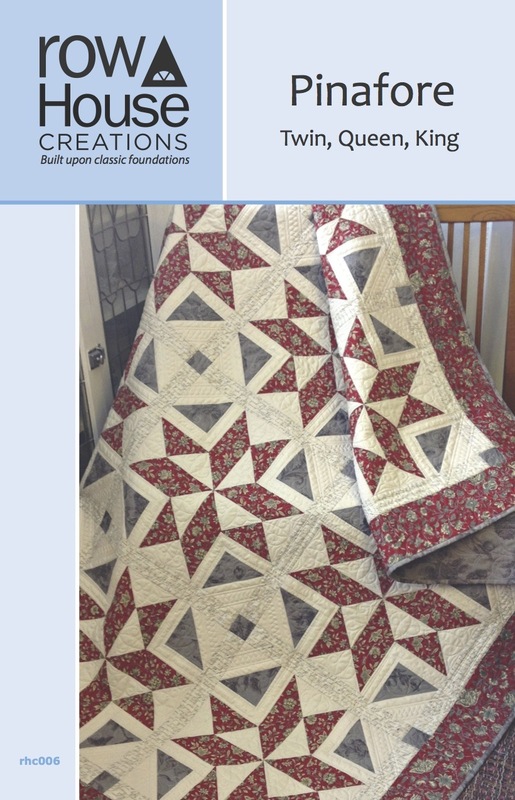 Together we have 9 years of quilt shop management and service experience, and 22+ years of sewing and quilting experience! 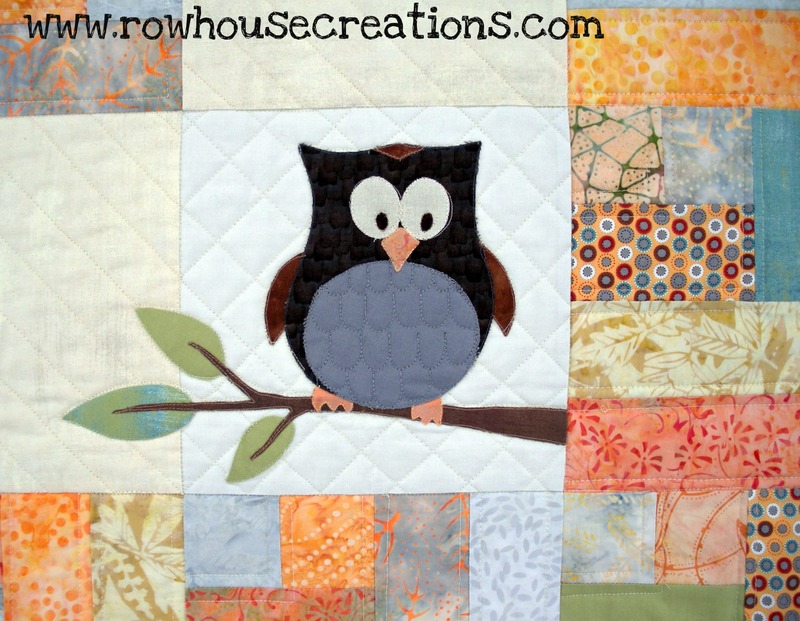 Knowing what quilters want, and anticipating solutions to problems are strengths that come from our experience! Our patterns are written with those qualities in mind. 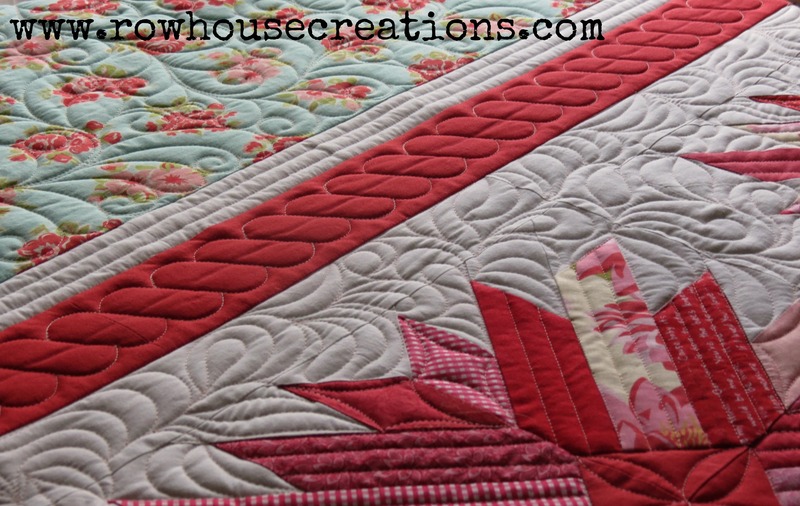 One Big Cabin uses a very simple raw-edge applique technique that anyone can do! 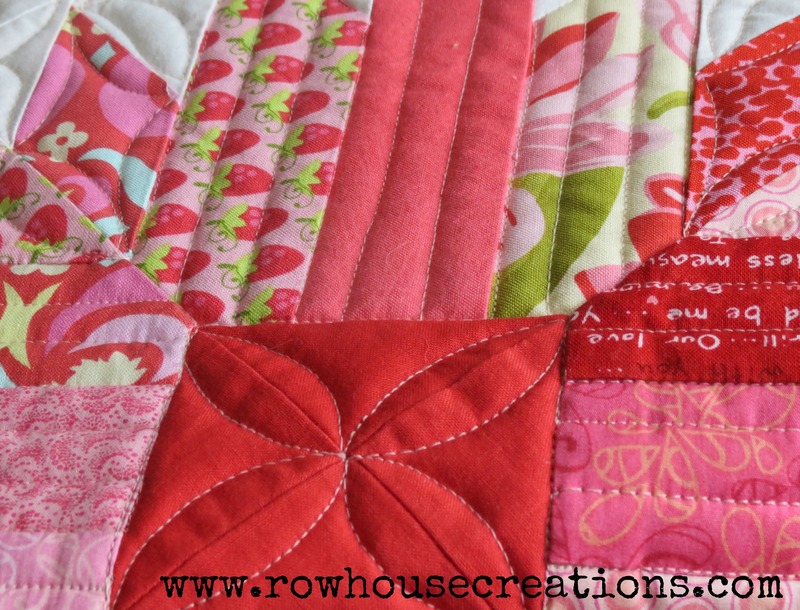 One jelly roll, or Bali Pop, as we used, will yield enough strips to make two quilts from this pattern. 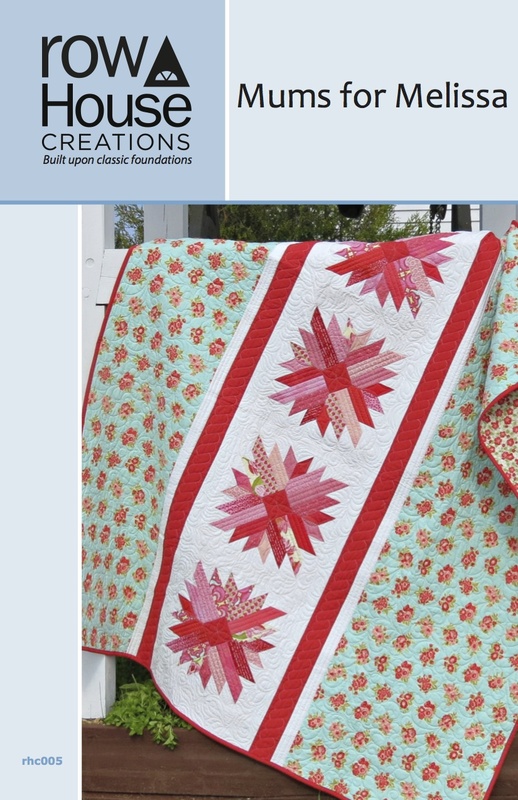 For buying information, visit our shop!